This post was inspired by two recent events: hearing an inspirational keynote address by Michael Wesch (@mwesch) yesterday and attending my son’s soccer game today at Hjorth Road Park in Surrey – a place I like to call the “Field of Dreams.” Let me tie the two events together. Michael Wesch’s address at the 2012 SPVPA Convention at Harrison Hot Springs yesterday spoke about the importance of reaching learners by creating a sense of wonder and awe – the same wonder and awe experienced by those in Wellington, New Zealand when it began to snow one day. 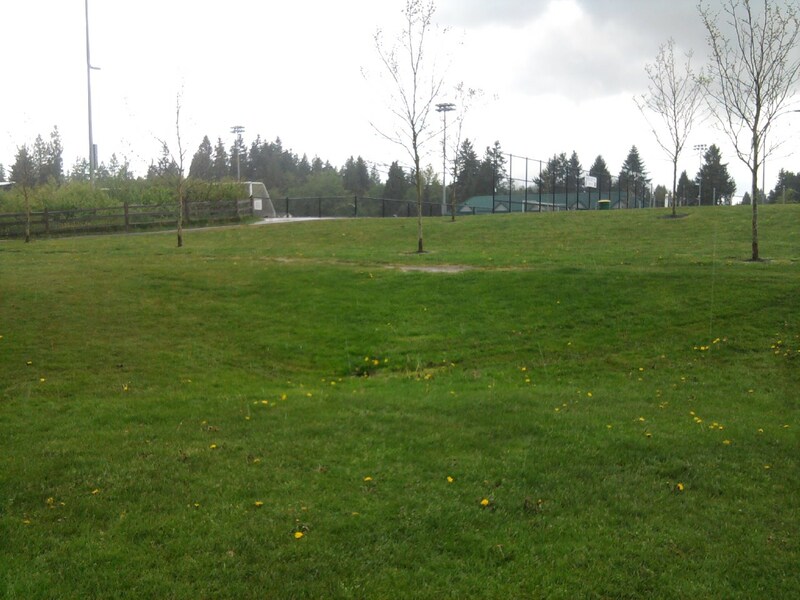 How does my son’s soccer game relate to this and why do I call Hjorth Road Park the “Field of Dreams?” Back in the Spring of 2009, I was the Vice-Principal at Holly Elementary School in Surrey. Holly is a Level-1 inner city school. Translation – the need there is great, but so are the rewards for those who work and learn there. It was (and is) a common practise for the school to sponsor children by registering them for organized sport. We did this through Canadian Tire’s great program called JumpStart. There were so many children who would benefit from such experiences that one day, a wonderful and dedicated educator and friend, Corrie Shaw, and I decided to register a whole team for Spring soccer – 18 boys in all, from every corner of the globe. Not one knew a thing about participating in organized sport, but they loved soccer and most certainly deserved the opportunity. They had crested the hill and what lay before them was a brand new, beautiful turf field. His response made me understand that we must never assume when it comes to a child’s experiences, and that we must always take advantage of opportunities that create wonder and awe in our students. Even before the first kick, this had become their “Field of Dreams.” The team went on to a 7-1 record and many of the team parents went on to register their sons for soccer the next season. I’ve taught in many classrooms and schools. It is difficult to regularly provide activities that create a sense of wonder and awe for students. At times, this seems impossible. But when it does happen – when you can get kids to stop and say “WOW” – it’s a magical reminder of why we do what we do. Sharing with a class that a their contribution to the Make-a-Wish Foundation helped a sick child fulfill her dream of going to Disneyland before dying. Feeding the homeless in one of the toughest parts of Surrey. Delivering a Christmas hamper to a needy family. Witnessing a spectacular view at the top of a mountain after a long hike. Discovering a child’s hidden talent when given the chance to perform in a Talent Show. The sense of satisfaction and responsibility a student experiences when they have the opportunity to decide what and how they will learn. These moments – and the sense of wonder and awe associated with them – are what students remember and learn from the most. Creating such opportunities are a great challenge, but our kids are worth it! Previous Why do you do what you do? Getting my masters in art ed, and this idea of wonder and awe keeps popping up in my research. Loved your post, because it added a human element to what I’ve been reading. They’ve studied moment when children experience wonder, and have discovered these moment lead chidden to an experience of dramatic anticipation. When the boys saw that field– their wonder imbued in them a deep anticipation to play on it. Why? Anticipation creates an intellectual and emotional empty space. In that empty space the boys superimpose possibilities onto that field. Imagination! It could be imagined moments of glory helping a teammate, imagining their freedom running freely on soft turf, or simply experiencing what a manicured field represents in their eyes– love and respect. I’ve been thinking a lot about wonder and awe for these reasons. I suppose I wonder (pun intended) what you think about creating this experience? For these boys this field was new and fresh compared to their past experiences. Wonder and awe was a natural outcome– they were seeing this field with new eyes. How can we experience wonder in the absence of the new? How can we feel awe in routine? 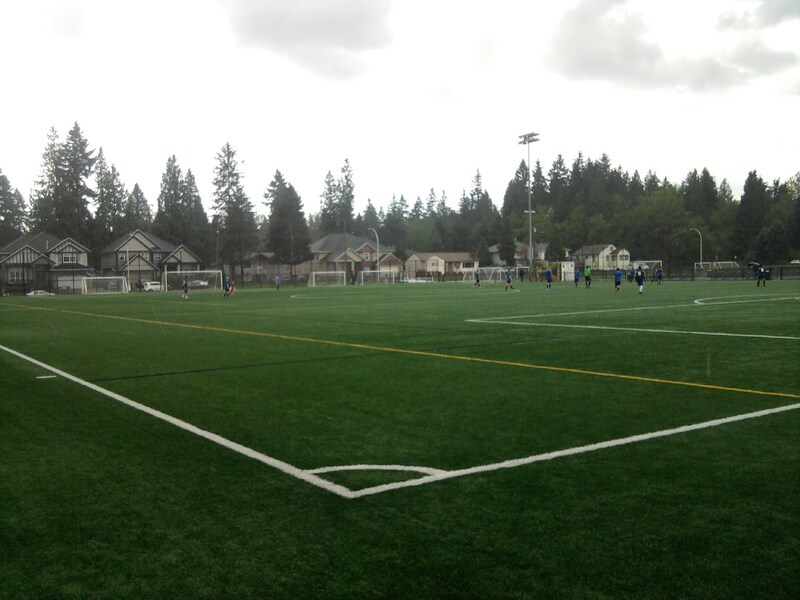 Is it possible for an American child to feel wonder at a soccer field they see everyday? Your question about creation of wonder and awe in the routine is a question most educators have. I think the key is exposing our kids to as many things as possible and just as importantly, taking the time ourselves to model natural curiosity and wonder. I also think it’s important not to be too tied to programs, outcomes and schedules. There are opportunities daily to address teachable moments, as well as student questions and wonderings. Great reply and feedback. Thank you! This is exactly why I love to teach!! Hello Marsel. It’s great to hear from you. I remember you well, as well as your father who was a very nice man. I am so happy that you look back fondly at your time at Holly. We were all doing our best and yes – life is about second chances and taking advantage of those chances. 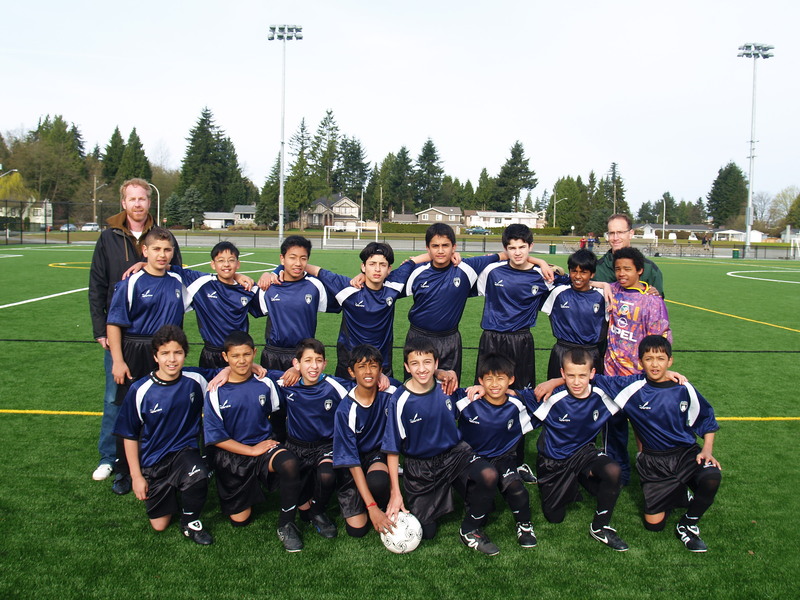 The soccer team we put together that Spring with Mr. Shaw was one of my best memories if working in schools. You guys were AWESOME and I remember how good we looked and how well we played. You made me proud. Keep working hard in school. You are almost to graduation…incredible how fast time has traveled. Please keep in touch. I still work in Surrey and I am currently the Principal at Georges Vanier Elementary. Please say hello to your family for me and take care! Oh my god! I was thinking about my elementary years and how much I miss my childhood and all of the sudden I searched my elementary school name on google ”Holy Elementary”. I came across this page and this is my soccer team and I’m in this team picture. All I want to say is that I enjoyed every moment of being part of this family and I wish I can go back!!. Thank you Mr.Vendramin and Mr. Shaw ! You’re famous 🙂 I was always sure you would do well. I remember your smile, your hard work, and how you were so easy to like. Like you, Holly will always have a special place in my heart and I will always remember our soccer time together. You guys were so awesome that Spring – 7-1 I still remember and your sharp looking blue jerseys. Keep working hard towards your graduation and please stay in touch. Please pass on a hello to your family for me. Take care!